Juvenile female, approximately 2" DLS. 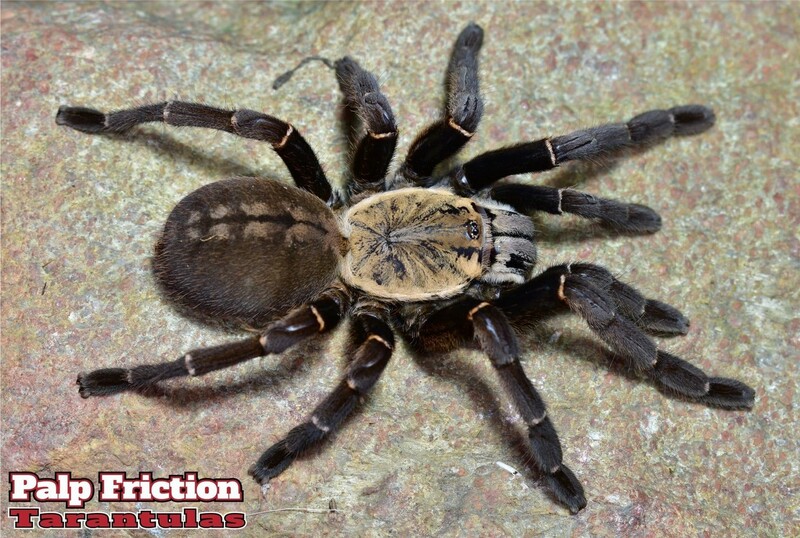 Old world fossorial tarantula.This tarantula was purchased as a confirmed female but has not been confirmed by us. This little lady is very feisty and recommended only for an experienced keeper.